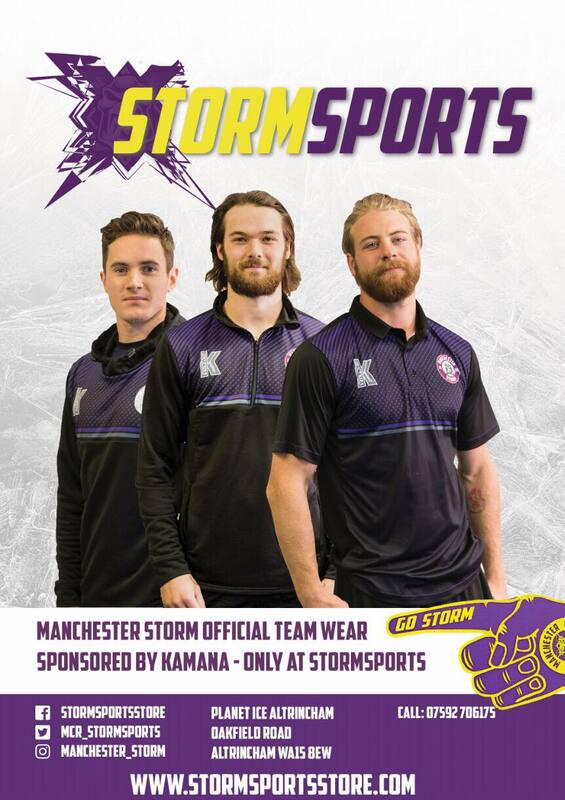 SEASON TICKETS: The Go Goodwin’s sponsored Manchester Storm are pleased to announce that season tickets for the 2016/17 Elite Ice Hockey League season are now available to purchase. Season Tickets can be ordered online or by calling the box office on 0161 926 8782, or in person at the box office. 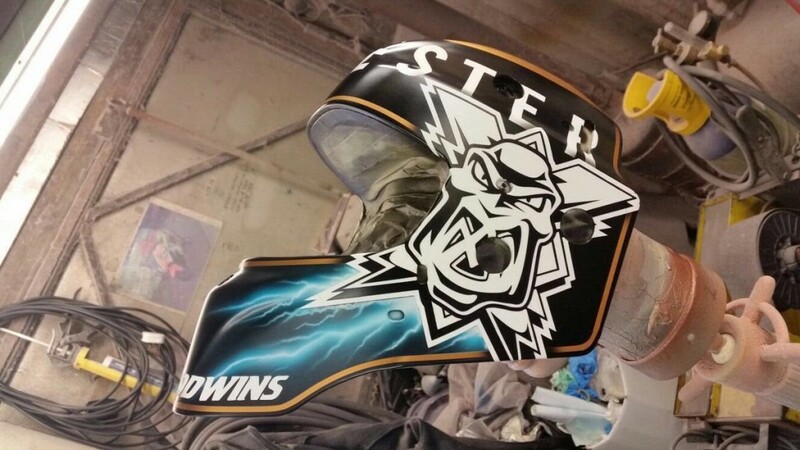 Recently on Twitter, Manchester Storm’s new goalie, Mike Clemente, revealed the design of his mask for the up coming 2016/17 season, which can be seen above. 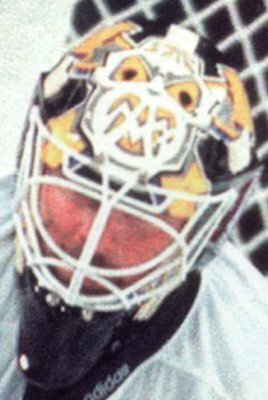 With all the hype on Twitter about it, we decided to ask Clemente what’s the story with goalie masks, why it is unlike anything else in the world of sports, and what are we likely to see on his new mask. “A goalie’s equipment is one of the few places in sports where you can show your personality. 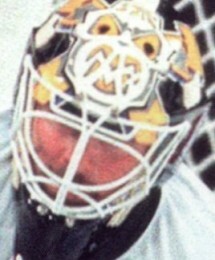 That is especially true with the mask. It might be the only piece of equipment in sports where you can put inspirational quotes, inside jokes, nicknames, and even something for your family. 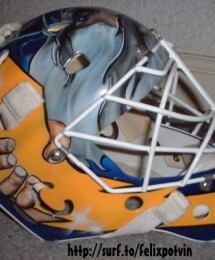 It is always exciting to plan a new mask but it is also nerve wracking because you want it to look sharp”. 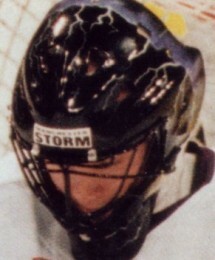 Clemente, a native of Great Falls in the US state of Virginia (just outside of Washington DC), grew up as a Washington Capitals fan. 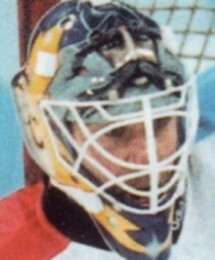 At the time, the starting goalie for the Capitals was netminder Olaf Kolzig, who was the first African-born player in the NHL. 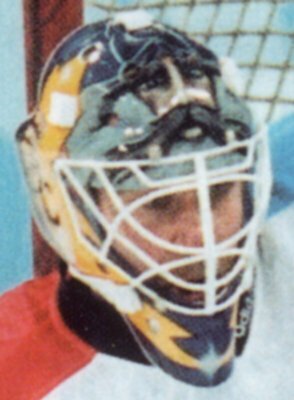 Kolzig gained a few nicknames in his time on the ice, but one that stuck was “Godzilla”, which led to both Clemente and Kolzig having a rather unusual mask! 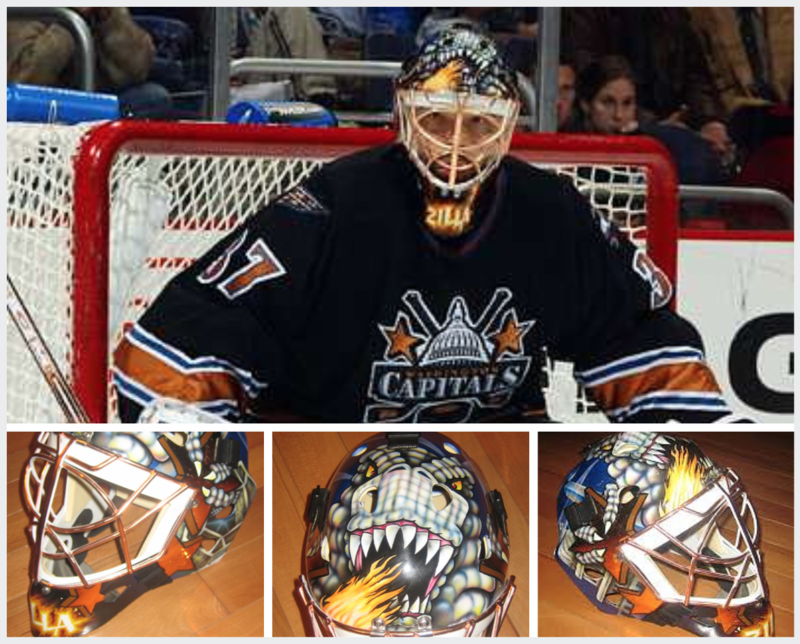 “My first painted mask was done by Mom’s friend who happened to be an airbrush artist. 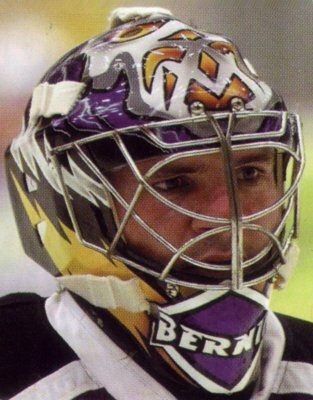 It was a direct rip off of Olaf Kolzig’s Godzilla mask. 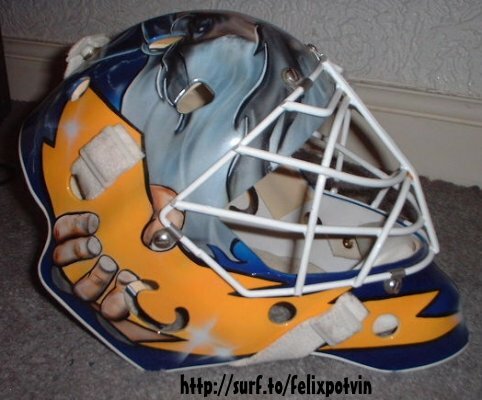 I remember when I got it for Christmas in 1998, I just stared at it I was so shocked! My all time favorite mask has to be Olaf Kolzig’s Godzilla. 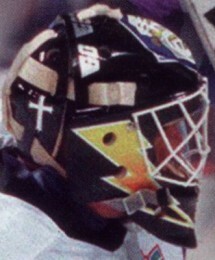 It has sentimental value because he was my favourite goalie growing up and my first mask was a copy of his”. 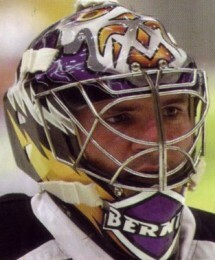 As Clemente says, a goalies helmet is a way to showcase their individuality. 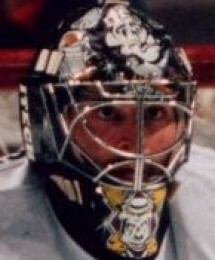 The NHL and leagues around the world have seen masks with designs from music, films, TV shows, and even cartoons. However, you will find certain things appearing over and over again on their helmets, and Mike’s is no different. 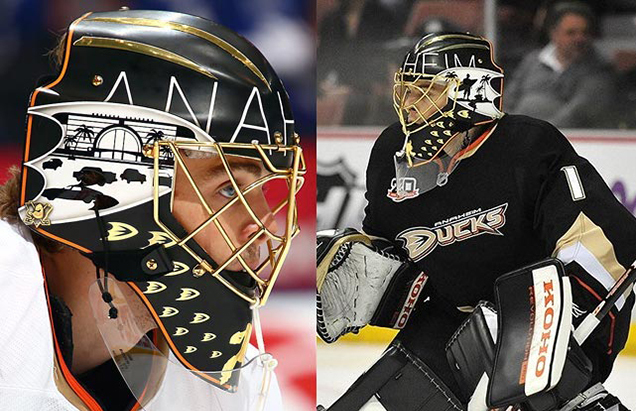 Clemente also mentioned that his mask for this season is inspired by Jonas Hiller’s Anaheim Ducks mask from a few season ago, which won awards around the world for it’s design, made and painted by Alessandro Alec Voggel of Airxess in Switzerland. 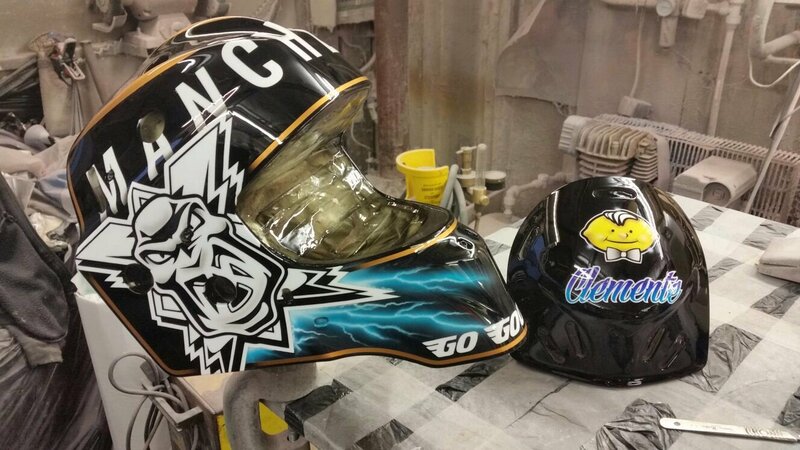 For his mask for the Storm, Clemente went back to the original Storm mask painter, Brian Evans of Brian Evans Signs (@brianevanssigns), to bring his dream to life. A huge thanks must go to Go Goodwins for helping get the helmet sorted for Clemente and the storm so quickly! 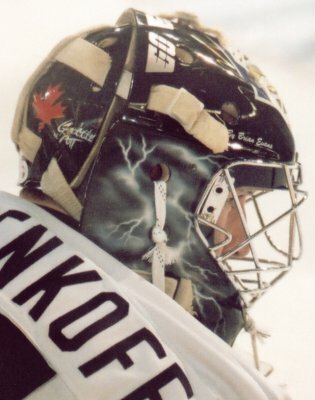 The customisation of equipment doesn’t end there, as goalies can also pick and choose plenty of different designs for their leg pads, blocker, and catcher. 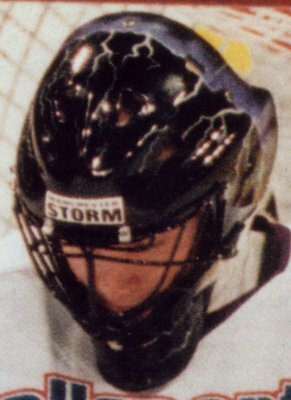 After being one of the first people to see the new Storm jerseys for the 2016/17 season, which will be released in late August, Clemente knew he had to go darker. 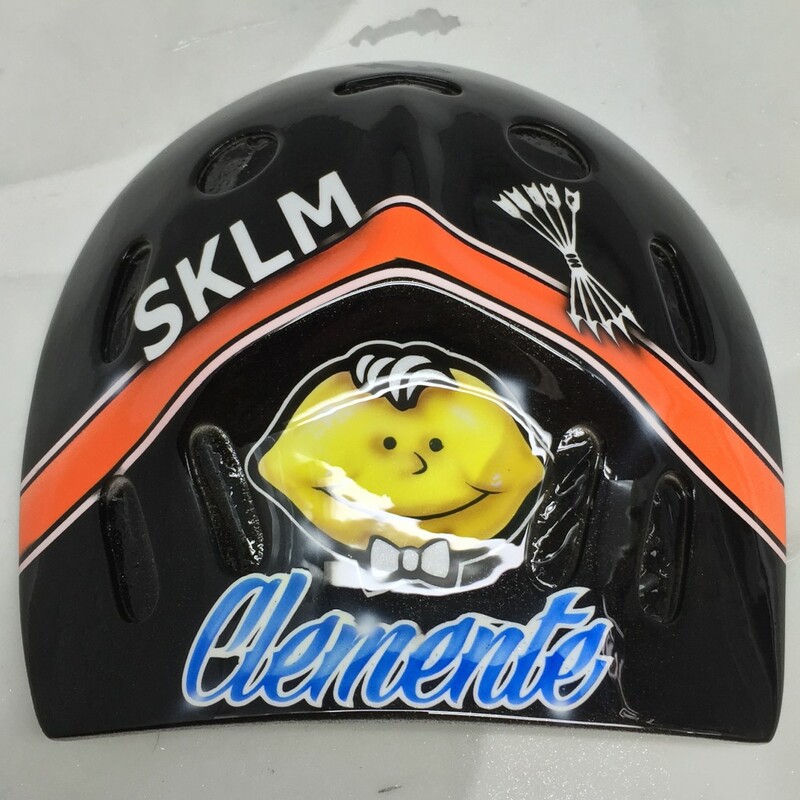 Be sure to check back later in the lead up to the 2016/17 season to see what Clemente’s pads look like, and to see our new jerseys! The image of a painted Storm goalie mask certainly brought back memories to many of the Storm fans, with plenty of photos of old Storm goalie helmets being posted. 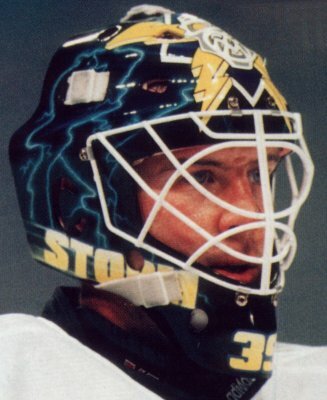 What’s your favourite Storm mask of all time? Let us know on Twitter & Facebook! VALCAK RETURNS TO THE STORM! 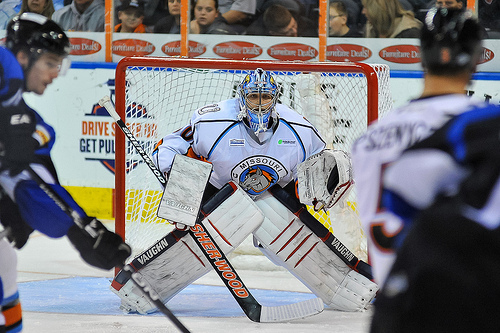 Storm get SMART with latest signing!